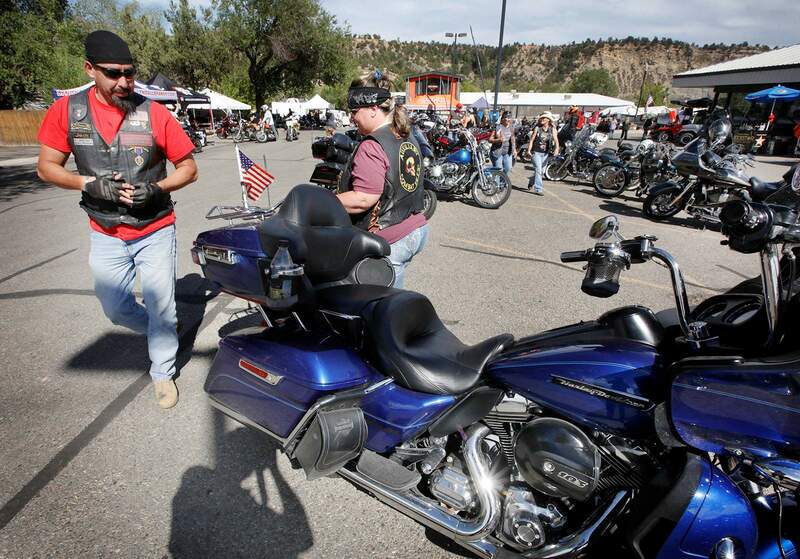 Motorcyclists Jay Mestas, a native of Durango, and Heather Mestas rode in from their home in Fort Sill, Okla., for a family gathering and visited the Four Corners Motorcycle Rally on Friday at the Durango Harley-Davidson dealership. The rally will hold numerous events through the weekend. For a schedule, visit www.fourcornersmotorcyclerally.com. 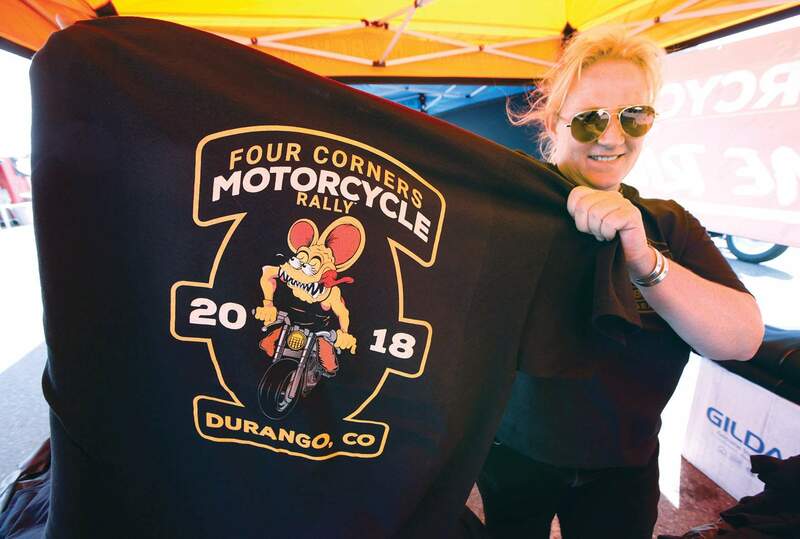 Krista Lucas holds up an official Four Corners Motorcycle Rally shirt Friday at the Durango Harley-Davidson dealership. For a schedule of rally events, visit www.fourcornersmotorcyclerally.com.